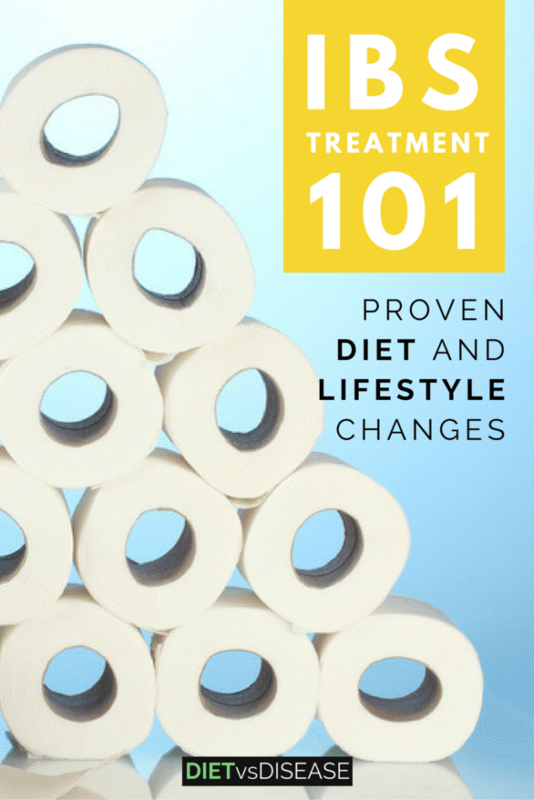 This article looks at the scientifically-proven diet and lifestyle changes for IBS treatment. Do Fiber or Prebiotic Supplements Help IBS? What About Iberogast or STW5? It’s now estimated to affect 11% of the global population, up to a huge 20% in the US and UK, and 13% in Australia (36, 37). IBS is more common in women, people over the age of 50, and those who have had previous infections of the GI tract (1). In addition to physical effects, IBS can affect overall quality of life. This includes stress, anxiety, and a decreased sense of well-being (2, 3). The image below illustrates the immediate symptoms (red) and how they progress to other symptoms (blue) (1). 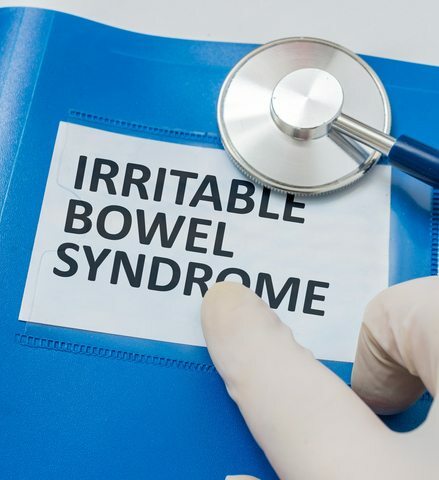 Some IBS sufferers have frequent bouts of diarrhea, known as IBS-D. Others complain mainly of constipation, known as IBS-C.
Those who often experience both can be labeled IBS-M (mixed), while unsubtyped IBS is known as IBS-U (1). You can calculate which type you have based on the chart below. Click to enlarge. 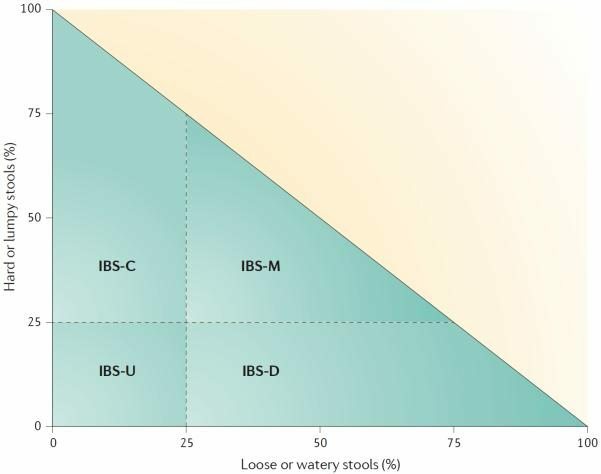 The four possible IBS subtypes according to bowel form at a particular point in time. 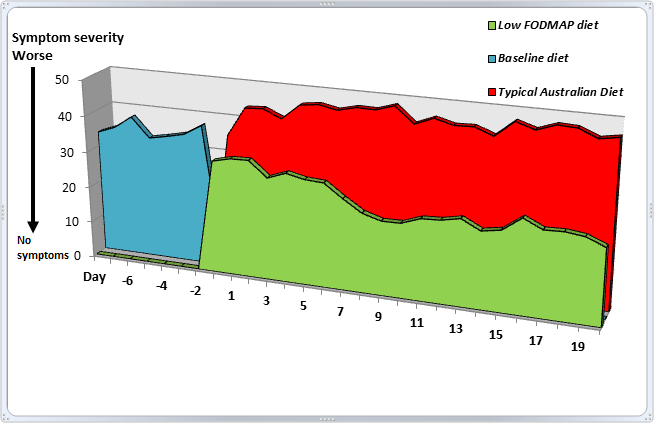 And the percentage of time this bowel form has to be present to meet the criteria for IBS-C, IBS-D, IBS-M or IBS-U. Summary: IBS is a disorder of the gastrointestinal tract characterised by recurrent abdominal pain, bloating, and stool irregularities. It can be classified based on the stool symptoms. Stressful life events, prolonged anxiety and/or depression seem to increase IBS risk (1). However, these are more like “triggers”. The root causes and mechanisms are still not well understood, although a lot of research is underway. 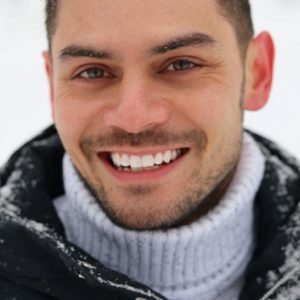 There are several theories including psychological stress, abnormalities in gut motility, infections of the GI tract, and Gut-Brain axis problems (36, 37, 38, 39). Genetic predisposition likely also fits into the equation, as does the number and types of bacteria in our gut (gut microbiota) (1, 4). The diagram below illustrates how many of these factors are inter-connected. Click to enlarge. Genetics partially determine (`filter’) the response of an individual to external stressors (psychosocial factors) and internal stressors (ingested food or gut bacteria). 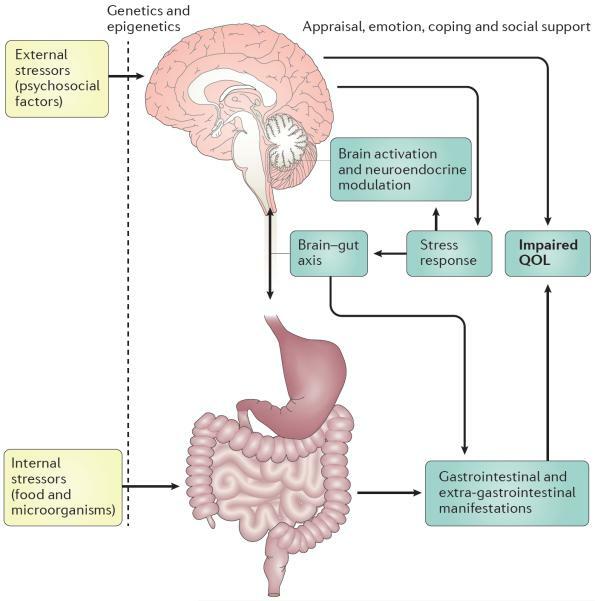 These, together with social support, appraisal, emotion and coping behaviours against stressors, determine the stress response affecting brain–gut interactions. Increased intestinal permeability or so-called Leaky Gut Syndrome may also play a role. That is, the ease at which unwanted compounds can pass from the gut into the bloodstream (5). Although the direct causes remain unclear, some forms of IBS treatment have been proven effective. 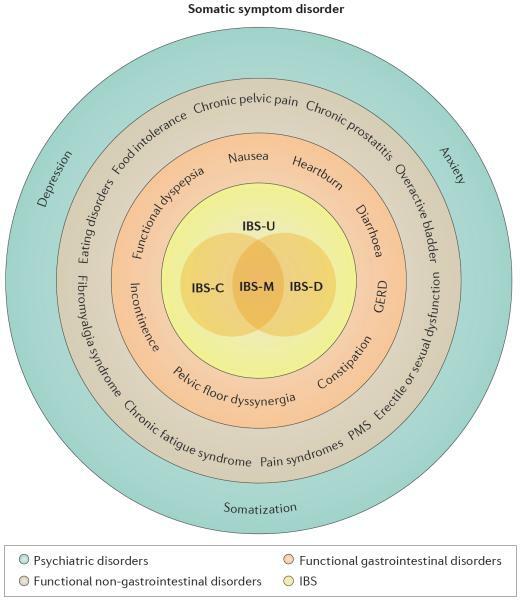 Summary: The cause of IBS is unknown, but appears to be a complex relationship that involves genetics, gut bacteria (microbiota) and stressors. FODMAPs are short-chain carbohydrates that ferment in the large intestine if not properly digested. The acronym stands for Fermentable Oligo-, Di-, Mono-saccharides, and Polyols. Dietitians and physicians often recommend a low-FODMAP diet for IBS. This involves a strict elimination phase followed by a structured reintroduction phase. A high-quality Australian study reported that 70% of participants with IBS felt better after only one week on a low-FODMAP diet, compared with a typical diet (6). FODMAPs are poorly digested in those who are sensitive. They are also “osmotically-active”, meaning they draw a lot of water. Pulling excess water into the intestines causes bloating and digestive discomfort seen with IBS. 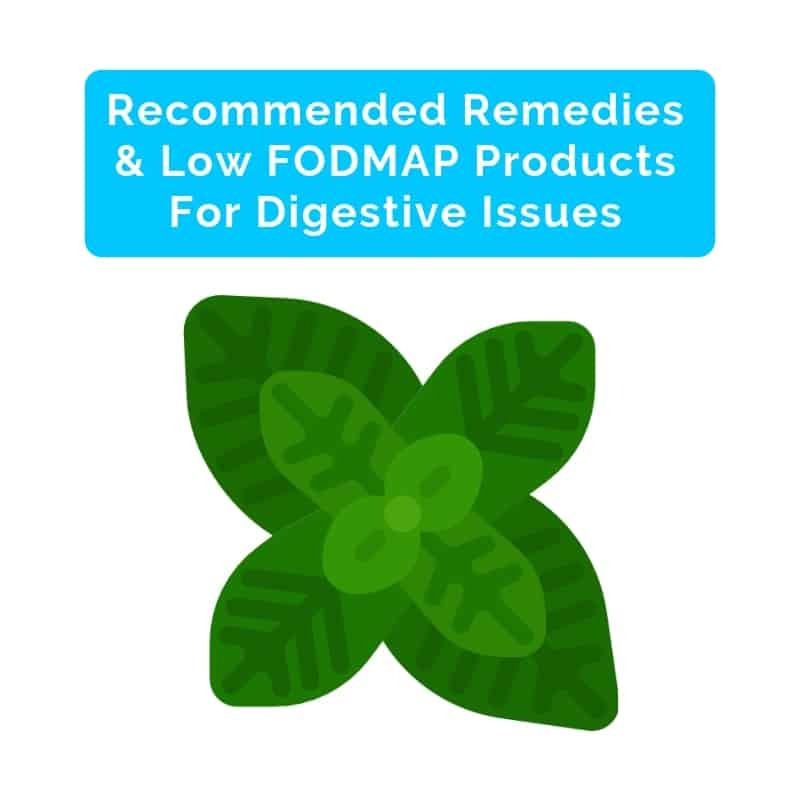 FODMAPs are broken down and fermented by bacteria in the large intestine. 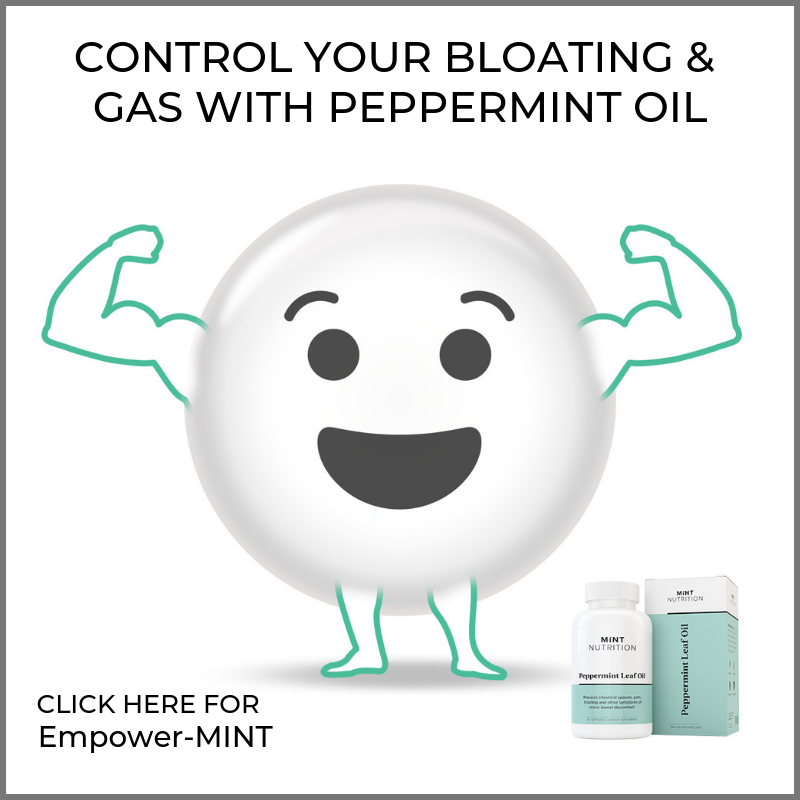 This process can lead to large amounts of gas, stretching of the large intestine, pain, and bloating. 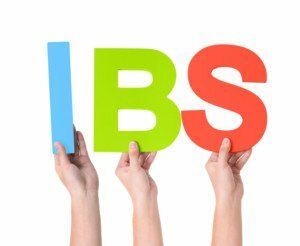 A low FODMAP diet, when done properly, remains the most effective and consistent form of IBS treatment (8). For details on how to get started, start here. Summary: FODMAPs are short-chain carbohydrates known to cause digestive issues in those who are sensitive. High FODMAP foods may cause or worsen symptoms of IBS, which is why a low FODMAP diet can help. This is a confusing area of research. To understand we must first take a step back. Fiber is an indigestible carbohydrate found in plant foods. It comes in two main forms, soluble (dissolves in liquid) and insoluble. Prebiotics is the name given to fiber that “feeds” (is fermented by) our gut bacteria. 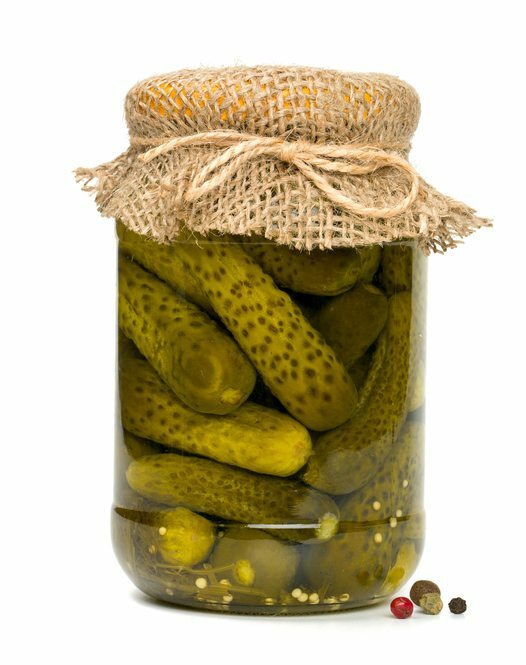 Fermentation can cause beneficial changes in the activity or balance of gut bacteria, one reason dietary fiber is so important (10). Now while all prebiotics are fiber, not all fiber acts as prebiotic. To confuse the issue further, many fiber-containing foods are high in FODMAPs, as are many prebiotics. In fact, the majority of known prebiotics are oligosaccharides (the “O” in FODMAP) (10). Given these overlapping categories and definitions, it’s not surprising the evidence for prebiotic and fiber supplement use is mixed for IBS patients. Research suggests that soluble (but not insoluble) fiber supplements may help reduce both IBS-related diarrhea and constipation (12, 13, 14). It’s thought that soluble fiber helps to make stools a kind of soft yet thick texture. This helps stools move along during constipation, yet firms them up considerably during diarrhea. Most of the research has looked at the soluble fiber supplement psyllium (or psyllium husk), which is a weak prebiotic. 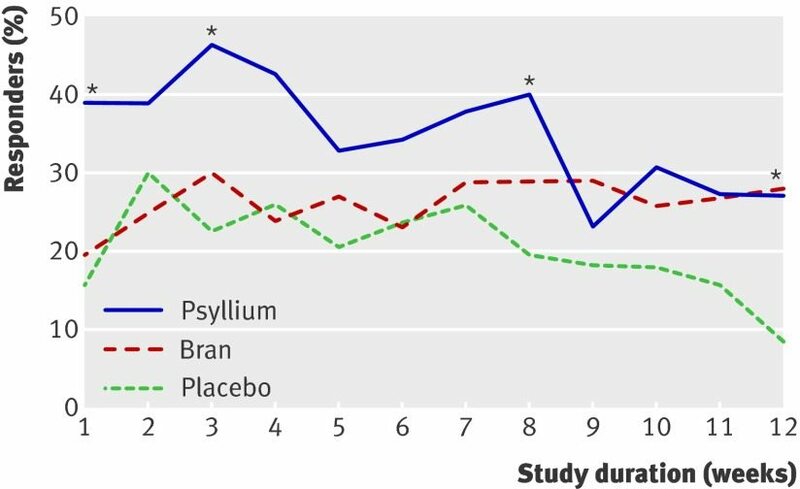 In one clinical trial of IBS patients, taking 10 grams (about 2 teaspoons) of psyllium per day reduced perceived abdominal pain and discomfort by 90 points compared to just 58 points in the bran group and 49 points for placebo (15). Proportion of patients with adequate relief of symptoms each week. Click to enlarge. Branded psyllium supplement Metamucil recommends adults with digestive issues take 1 rounded teaspoon up to 3 times daily. Anecdotal reports have mixed reviews for psyllium, and I suspect it largely depends on which FODMAPs are a trigger for each individual. Otherwise, no other type of fiber or prebiotic supplement is recommended at this stage. Summary: Psyllium is a soluble fiber (and weak prebiotic) supplement that may improve both constipation and diarrhea related to IBS. There is a high variance between individuals though so you will have to test if it helps. Probiotics – not to be confused with prebiotics – are live “good” bacteria usually taken in capsule form. They can help increase the population of beneficial bacteria in the GI tract, which appears to be helpful for people with IBS (18). An analysis of 21 randomized-controlled trials (the “gold standard” in scientific research) reported that probiotics improve overall symptoms of IBS as well as improving quality of life (19). Probiotics vs control group. The higher the response rate, the better. Click to enlarge. Apart from altering the gut bacteria environment, they may also positively influence intestinal permeability and reduce unwanted inflammation (20). Problem is that the best strains or species of probiotics are not yet known, and neither is the recommended dosage. For practical recommendations, see this probiotics for IBS guide. Whole food sources of probiotics include fermented foods like quark, yoghurt, kefir and pickled vegetables such as sauerkraut. Summary: Probiotics are bacteria we eat for health benefits. Early evidence indicates they may help improve IBS symptoms, but the best bacterial strain and dosage is not known. Herbal supplements have been used in many countries as a form of IBS treatment. One commonly used supplement is STW5 or Iberogast. A high quality clinical study of over 200 patients found that taking STW5 for 4 weeks led to significant improvements in overall IBS symptoms. This included frequency of constipation, diarrhea, flatulence and abdominal pain (21). Numerous other studies have also found a positive effect of STW5 on IBS (22). Click to enlarge. 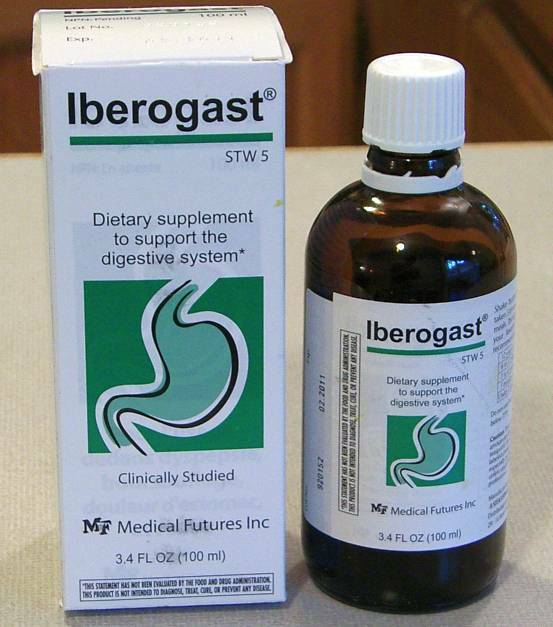 The manufacturer of Iberogast recommends a dose of 20 drops (1 mL), 3 times per day for adults and children over 12 years of age. This is the same amount that research has found to be effective (21). Summary: STW5 is a herbal supplement that has long been used for treating IBS symptoms. Scientific evidence is now emerging that supports its effectiveness. Moderate (not excessive) exercise can help improve symptoms. One randomized, controlled study found that moderately increasing physical activity for 12 weeks resulted in significant improvements in IBS symptoms (24). Looking at the same participants five years later, those who exercised on average 5 hours per week (walking, cycling, and aerobics) had significantly fewer IBS symptoms compared to before they began exercising (25). They reported less pain, less abdominal bloating, and less dissatisfaction with their bowel habits. They also reported less depression and anxiety. 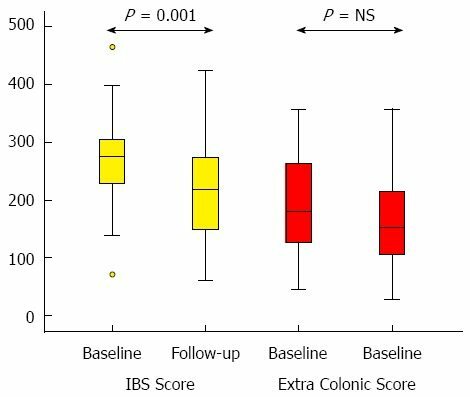 Irritable bowel syndrome severity scoring system at baseline and follow-up (after 5 years). Lower score is better. Click to enlarge. It’s thought that physical activity helps the large intestine to move its contents through quicker, both digested food and gas. In fact, studies have shown that mild physical activity helps to clear gas from the intestines and reduce abdominal distension and bloating (26). The psychological benefits of exercise may also play a role. People may just feel better in general when they’re physically active, and may have a greater sense of control over their IBS (25). A combination of cardio and weight training is best, especially if you want to lose weight as well. Just note not to overdo it, as excessive exercise can have the opposite effect. Runner’s gut for example. Summary: Regular exercise such as walking, cycling and aerobics is shown to improve symptoms of IBS long-term. Excessive exercise may make it worse though. Unpredictable digestive symptoms cause anxiety and stress. Anxiety and stress, in turn, can aggravate digestive symptoms in a kind of feedback loop. For this reason methods to reduce stress and anxiety help to improve IBS symptoms. Mindfulness meditation is the most well-researched. Three high-quality studies all found sustained improvement in IBS symptoms for participants treated with mindfulness mediation (27, 28, 29). In one study, the mindfulness-based therapy group reported a 42% decrease in symptoms. 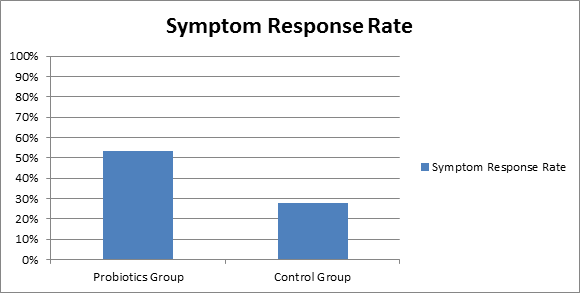 The control group, who did not receive the therapy, reported a 12% increase in symptoms (28). Additionally, mindfulness meditation seems to have long-term benefits. Two studies reported fewer IBS symptoms and increased quality of life even 6 months to a year after mindfulness training was completed (30, 31). Mindfulness mediation is now considered a form of evidence-based medicine, and has shown benefits for a wide range of other health issues too. Summary: Anxiety and stress are both a trigger and symptom of IBS. Mindfulness mediation is an effective treatment tool for those issues, and has now been shown to help with IBS too. 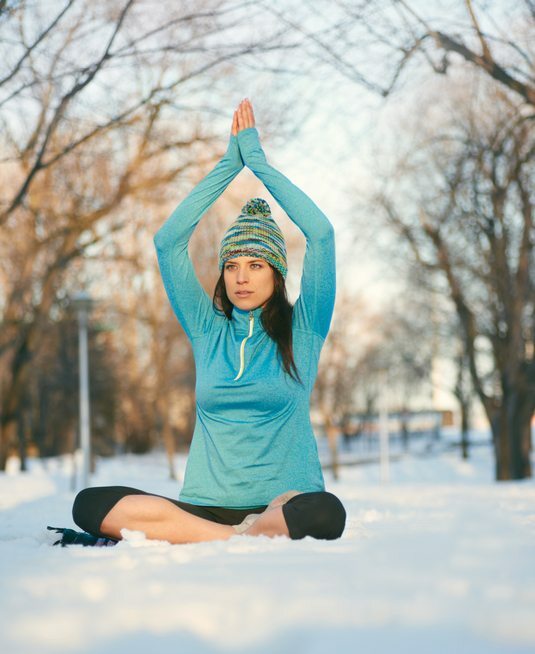 Other body-mind therapies such as other types of meditation, stress management training, and relaxation training have also shown promising results (32, 33, 34). 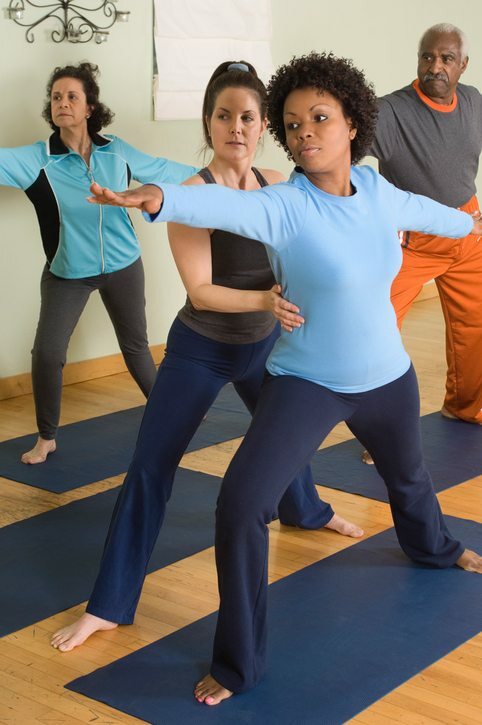 One randomized controlled trial of 98 patients found that those who received four 90-minute group sessions of relaxation training had fewer symptoms of IBS, improved quality of life, and fewer doctor visits (33). These improvements were still seen a year after training took place. Psychological therapies such as cognitive behavioral therapy (CBT) can also positively impact symptoms. 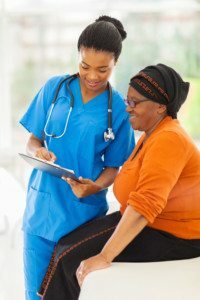 Researchers recently analyzed data from 15 randomized controlled trials looking at the effect of psychological therapies on IBS. Most of the studies looked at CBT. They reported significant improvements in quality of life, overall IBS symptoms and abdominal pain (35). However, the authors did caution that many of the studies were low quality and that more are needed to confirm the findings. Hypnosis is a form of psychological therapy emerging not only for weight management but for IBS treatment too. In particular, Gut-Directed Hypnotherapy (GDH), which is a specific form of medical hypnosis. A review of eight randomized-controlled trials totalling 464 patients found that GDH significantly improved abdominal pain in the short term (3 months) and overall IBS symptoms (35). Additionally, this analysis, along with another one, showed that GDH significantly improved perceived quality of life in treatment patients. So hypnosis may very well be a useful complementary treatment, along with a specialized diet, regular exercise and perhaps even fiber or probiotic supplementation. If you want to learn more, check out this Audio 100 program. Summary: Alternative therapies such as relaxation training, cognitive behavioral therapy and gut-directed hypnotherapy appear worthwhile for persistent IBS symptoms. 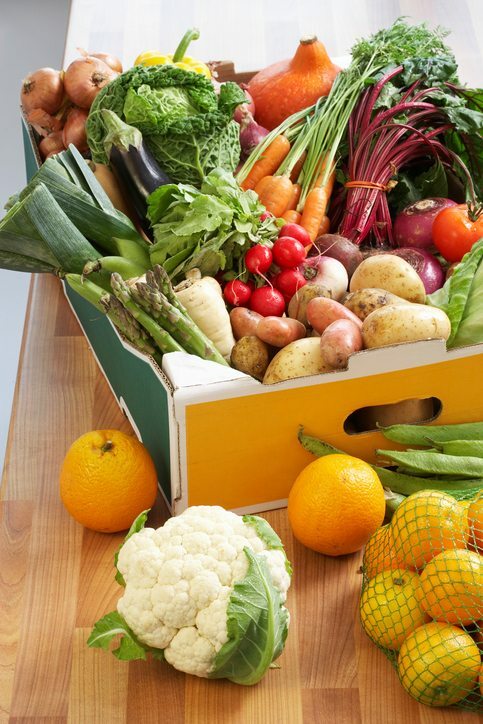 Food chemicals like histamine or salicylates. If symptoms continue despite removing FODMAPs and other known triggers, you should see your doctor about getting tested for SIBO or IBD. Many diet and lifestyle factors can trigger or worsen symptoms of irritable bowel syndrome. Likewise, many factors can all contribute to improve them as well. Practicing mindfulness meditation or similar therapy, even just 10 minutes per day. Always talk to your doctor first before making any major diet or lifestyle changes, just to be safe.